William Kelly High School (WKHS), is located in Silver Bay and is one of the four schools within the Lake Superior School District #381. The school was built by Reserve Mining Company in the 1950s and strives to offer a vast variety of programs, activities and services to the students and community. The mission of the District is to provide for all students; an educational environment which encourages lifelong learning, self-fulfillment and responsible citizenship at home and within the world community. 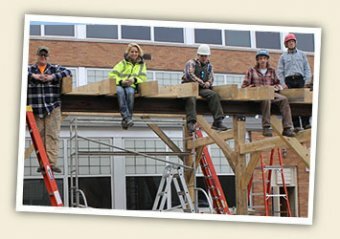 Five years ago the Timber Framing Program was set up and directed by community members living in Lake and Cook Counties to provide opportunities for students at William Kelley and Cook County High Schools to learn about timber framing and the skills needed to build a structure. 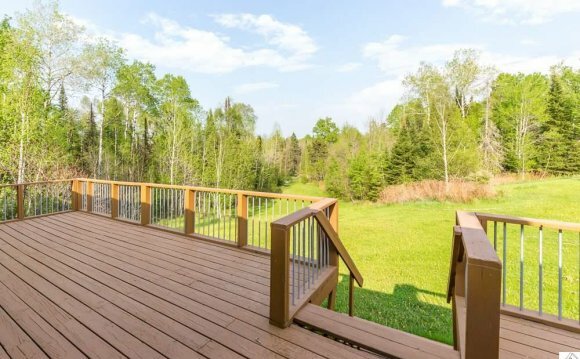 The class is taught by Peter Hendrickson at North House Folk School ( and provides opportunity for upper grade-level students to learn timber framing and joinery skills. During the past year, William Kelley High School was able to secure funds to purchase a sawmill for the Industrial Technology Department. As the sawmill needed to have a covered structure, William Kelley High School requested funding from the Foundation to purchase supplies for the project, have students, and the Industrial Arts Department Instructor Chris Belanger, attend a Timber Frame Class at North House Folk School, and design and construct the Timber Frame structure. In December 2014, the Board of the Foundation approved a grant, of $6, 850 for the Timber Frame project requested by the Industrial Technology department at William Kelley High School. The project provided opportunities for youth on the North Shore to experience Timber Framing from the forest to a completed structure. The five day class taught the students some history of the timber frame trade, wood identification, how to layout timbers and what specific cuts would be needed for a strong structure. The purpose of the timber frame structure was to protect a saw mill belonging to the Industrial Arts Department at the school and provide the students will a hands-on experience to learn and understand a unique trade. Five seniors were involved with the timber preparation which included the layout, cutting and sanding of each piece. One more senior was in attendance for the two days it took to raise the structure. The William Kelley High School Class Instructor provided the following comments on the project: On a personal note for how it went, it was nerve-wracking for me as it is a large project, with many parts that were fabricated by hand and needed to be precise to the point where it would go together, stay together and get placed correctly in the spot that was planned. All in all when it was done, it was a huge sigh of relief because it went up without a hitch. The roof went on a week and half ago and everything is looking and working great. Again a huge thanks to the foundation for the support to make this project very special for a few graduated seniors and myself. RHS orchestra district MPA! superior rating!